This one of the finest museums in Europe. The Spanish, Flemish, and Venetian schools are particularly well represented. There are outstanding masterpieces of Titian, Tintoretto, Veronese, Rubens, Van Dyck, Dürer, Brueghel, and Hieronymus Bosch, and Velázquez, El Greco, Ribera, and Goya, nowhere else to be seen to such advantage. The massive bright-white Royal Palace (Palacio Real) on the Plaza de Oriente in Madrid dates from 1734, when the 3,000-roomed royal residence was commissioned by Philip V. It was last called 'home' by the royal family in 1931 - the present king, Juan Carlos, lives in the more subdued Zarzuela Palace outside city. 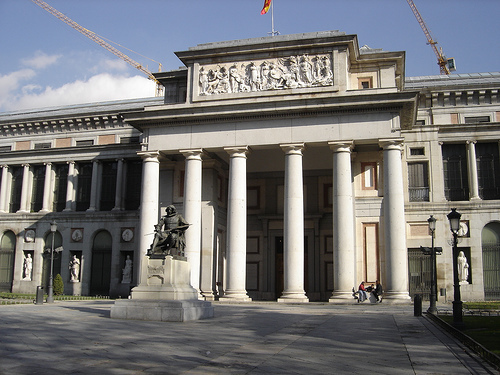 The Panteon de Goya is situated in the Glorieta de San Antonio de la Florida and is known as Goya's Sistine Chapel. The artist decorated the dome and cupola of the little chapel with a fresco depicting the miracles of St Anthony, with the use of sponges, a project that took six weeks to complete. Mirrors have been placed in strategic places to provide better glimpses of the art. 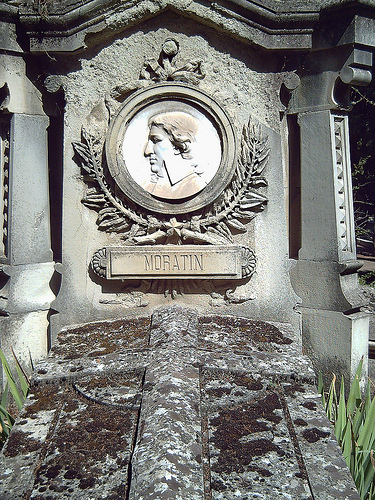 The chapel also contains the artist's tomb. The Plaza Mayor, a grand arcaded square in the center of city is very popular with tourists and locals alike. Since its creation, the Plaza Mayor has been the center of festivities, bull fights, royal coronations and executions. The most prominent building on the Plaza Mayor is the Casa de la Panaderia, the seat of the powerful baker's guild. This well known square is one of city’s most famous attractions. There is a museum located inside the building, which provides information on the history of the post office and how it worked. Another admired attraction within the Plaza de Cibeles is the fountain. 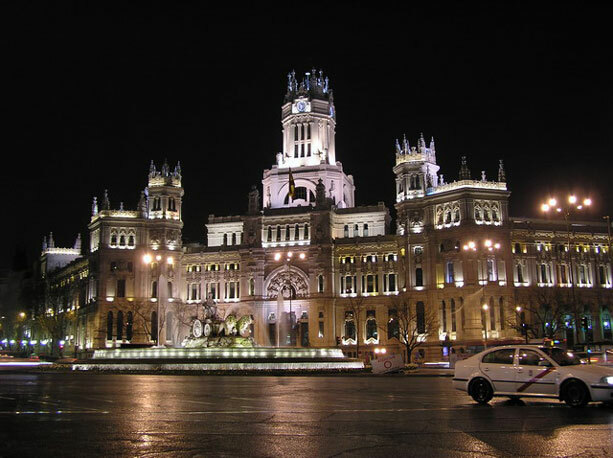 It is an outstanding feature representing the Goddess of Fertility, Cibeles. Another admired attraction within the Plaza de Cibeles is the fountain. Whether you decide to see a bullfight or not Ventas is definitely worth the metro ride outside of the city center to see. One of the biggest and impressive bullrings in Spain, Las Ventas is attractively decorated with tilework and horseshoe arches all the way around. Walking around the bullring during the bullfighting season with shouts of Ole! in the background is an experience that cannot be duplicated. Reina Sofia is a necessary visit though for Picasso and modern art enthusiasts. The most striking feature on the outside of the renovated hospital is the glass elevators that protrude out the side of the building carrying crowds from floor to floor. Like the Prado, Reina Sofia boasts a huge collection. But she has a single piece that everyone goes there for, Picasso's Guernica, which commands an entire room due to her size and crowds. The church and convent of the Descalzas Reales are housed in a Renaissance palace which originally belonged to Charles V's Treasurer Alonso Gutiérrez. The Order of the Descalzas Reales (royal barefoot ladies) was founded in 1554 in the house of her birth by Princess Juana, daughter of King Charles V. She had married Juan Manuel, heir to the Portuguese throne, but on being prematurely widowed had returned to Madrid. The National Archeological Museum is city's most important museum after the Museo del Prado. It was founded by Isabella II in 1867 and moved in 1895 to its present premises in the National Library. The museum has a rich collection ranging in date from prehistoric times to the 19th Century. The tour of the museum should begin in the garden with its reproductions of paintings from the Altamira Caves. 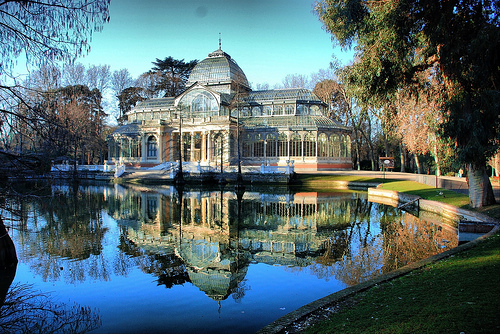 Retiro Park is a wonderful oasis of calm to the East of the centre of Madrid. It is very popular on Sunday mornings when people turn up for a leisurely stroll through its leafy paths. The park was once a palace garden, and it contains a boating lake and many majestic fountains. On Sunday’s you’ll also see Punch and Judy shows, tarot card readers and stalls selling candy floss. If it's a hot day in city and you're looking for some entertainment for the kids, Aquápolis is sure to please any water-loving child! Children can slide down water slides or create waves in a wave pool. They can even venture to the top of a tall slide that will send them plummeting to the pool below! Warnerbros Park is a giant fun park divided into five themed areas with matching rides, restaurants and cafes: Cartoon Village, Hollywood Boulevard, Old West Territory, DC Super Heroes and Warner Brothers Studios, including all the usual hi-tech water rides and roller coasters. Madrid's Zoo is home to over 3000 animals from five different continents. Take your kids on the zoo train or to the petting zoo so they can get up close and personal with a group of friendly animals. There's also a 520,000-gallon aquarium filled with tropical fish, plus a tank of dolphins. Palacio de Hielo is the giant 1800-square-meter ice rink. With a stage and stadium seating, it's also a venue for ice shows and competitive skating. Alternative activities include curling, ice hockey and figure skating classes. At Parque de Atracciones, play all day on the rides at this fun park! Find a day full of excitement as you try out all the rides here. There are pony rides, a carousel, a maze, and adventures to "space" and the "jungle." Two of the most famous rides are the pair of roller coasters that will take your breath away. Thyssen-Bornemisza Museum - The second gallery in city's 'golden triangle' of art museums is the Museo Thyssen-Bornemisza. Housing the former private collection of the Thyssen family, the collection contains more than 800 paintings, sculptures, carvings and tapestries, ranging from primitive Flemish works to contemporary pieces. Listed as one of city's top ten sights, the tablao flamenco (flamenco show restaurant) is renowned as the oldest and most famous show in the world. The establishment draws kings and queens, international presidents, film stars, and well-known artists who come to witness the nightly performances of top flamenco stars while receiving exquisite meals prepared by some of the best chefs in city. This busy crossroads is Madrid's main meeting place and crowds always loiter around the statue of the bear and the madroño ("strawberry tree") at the bottom of Carmen. It is also officially the geographical official heart of city and therefore, Spain. This wall dating to the 700's was built to guard the ancient city. One of the oldest regions in the city, this area features paths and streets dating back over 1,000 years. Take a good look at the mix of history and modernity of this fabulous European gem. 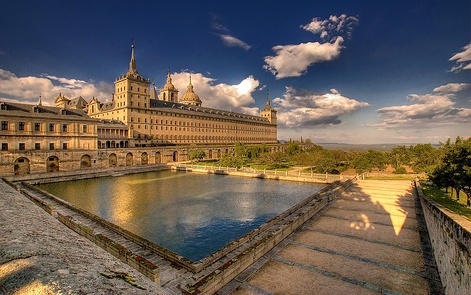 El Escorial was built following Spain's victory in San Quntin (1557). 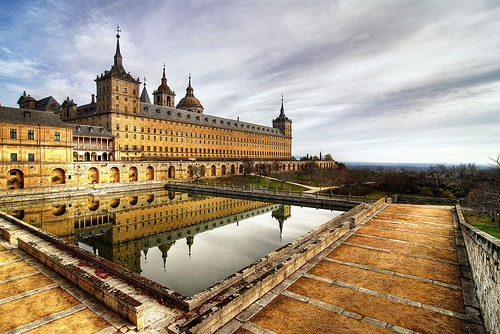 This magnificent palace, mausoleum and monastery complex took 21 years to complete. Philip II, King of Spain, was the visionary behind the project. Library houses an impressive volume of important documents. The Royal Botanical Gardens (Real Jardin Botanico) is located in the Prado district of Madrid Spain. The gardens feature exotic plants and trees from Europe, South America and many other locations. Estadio Santiago Bernabeu - Founded in 1902, the club's teams had to play in a variety of venues throughout the city until this stadium was built in 1947. It holds a capacity crowd of 75,342 and has become world famous due to Real's success in international competitions over the years. It is named after the chairman of the Board of Directors, Santiago Bernabeu, who had the vision to borrow the money to buy this plot of land and start building the stadium.